The unofficial renders that surfaced online reveal a handset that looks similar to the Fitbit Blaze and the rumors claim it will hit the market in silver, rose gold, and dark steel finish. Back in May, the upcoming Fitbit fitness smartwatch surfaced online. Sadly, those waiting for a looker were disappointed back then, and the new renders that are supposed to show the final design are not bringing any visual feast, either. 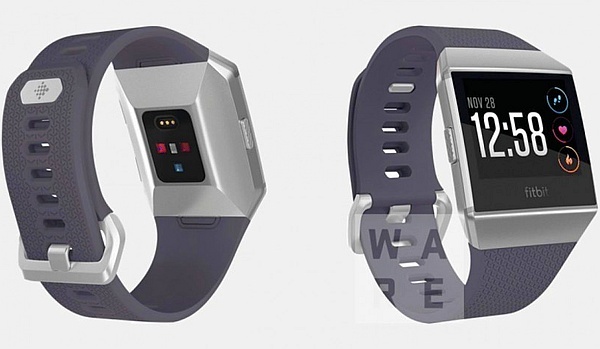 The latest Fitbit Watch renders come via Wareable and reveal the same button setup as that of the Fitbit Blaze, as well as what appears to be an optical heart rate sensor. The case/strap combinations expected to hit the market are: silver/navy, rose gold/blue, and dark/black. The looks of the optical heart rate sensor suggest the existence of a pulse oximeter that measures the blood's oxygen levels as well. At last, it seems that the upcoming Fitbit Watch would offer at least most of the fitness capabilities provided by the Charge 2 at this time. Unfortunately, everything should be taken with a grain of salt for now, and nothing is known about the smart features of this upcoming wearable. According to a statement by Fitbit, quoted by Wareable, "development of our smartwatch is on track and that it will be available for the holiday season."